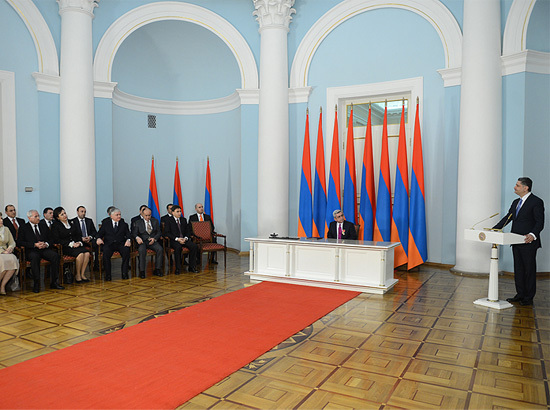 Armenian government official says the former Soviet republic will launch its own satellite into orbit, with the newly created company called Armcosmos now busy registering an orbital position for the satellite. Speedcast announces buyout of Pactel. SES, Inverto, Abilis and MaxLinear partner to develop IP-LNB for satellite TV home distribution. Republican-backed NASA authorization bill backs development of crew transportation systems to end reliance on Russia. ESA’s SatFinAfrica pilot project begun in 2011 was so successful that a company called SatADSL was established in Belgium to provide SATCOM for financial services to Africa and now serves more than 100 offices. Turkmenistan’s first satellite to be launched by SpaceX, under contract with Thales Alenia Space. Intelsat decides to stop providing satellite services in Iran. GVF expands its VSAT Installation Training & Certification in Asia Pacific. 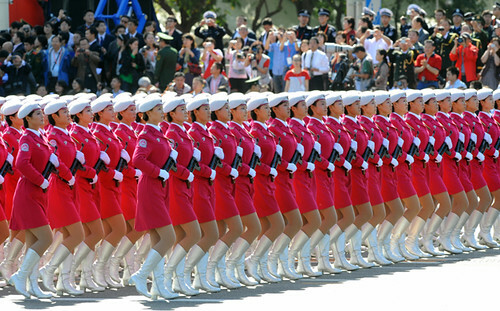 Secret, highly secure quantum communications system used at Chinese Party Congress in Beijing. OHB and Astrium to share work on German radar satellites. Canada becomes first international partner to connect over U.S. Air Force’s protected comms AEHF satellite system. Satellite manufacturing sector cuts jobs in spite of 23 percent revenue increase in 2013. EUTELSAT 3D goes into full commercial service at 3 degrees East. Falcon 9 selected to launch German military radar satellites. Astrium Services plans to sign a bulk-purchase agreement with Inmarsat for Ka-band capacity aboard Inmarsat’s three Global Xpress mobile communications satellites. Chinese seek greater share of global satellite-launching market. Honeywell develops new broadband satcom hardware for Inmarsat’s new Global Xpress Ka-band satellite network. ViaSat partners with Boeing for inline in-flight satellite connectivity system. 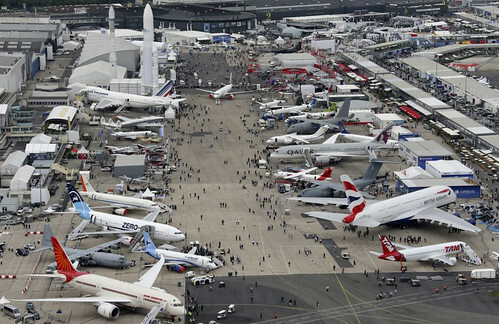 Cobham announces Aviator S series at Paris Air Show, which will allow secure data communication for aircraft operation, maintenance and management services. OmniAccess becomes first iDirect customer to go live with iDX 3.2 and X7, successfully launching a live satellite communications network that reached data throughput of 50 Mbps. European Defense Agency says consolidating European countries’ military telecommunications satellite networks would result in huge savings, but obstacles are faced if European defence ministries fear their budgets would be cut. European rocket designers crafting a defense against U.S. startup rocket builder SpaceX. Scientists and engineers from around the world meet in South Dakota to discuss collecting images from Landsat 8. Mexico’s state-owned Mexsat system to be augmented by second nearly six-ton Centenario satellite in 2014. Asia DTH executives outline their satellite capacity plans. ORBIT Technologies receives order for $3 million worth of ORION-based Communications Management Systems to major European aircraft manufacturer. Gilat Satellite Networks and Thaicom sign Cooperation Framework Agreement to provide customers across the Asia -Pacific regions with integrated solution using Gilat’s ground equipment and the Thaicom 4 satellite. O3b signs deal with Maju Nusa to provide ultra-high speed 3G backhaul services across rural Malaysia. SpeedCast sees substantial gains with Newtec MDM6000 modem on multicarrier applications during intensive trial of Newtec’s latest S2 Extensions and Clean Channel Technology. The worlds most sophisticated commercial communications satellite, Alphasat, built by Astrium for Inmarsat, and carrying four technological demonstration payloads for ESA, is shipped to its launch site in Kourou, French Guiana. Sprint files suit to stop Clearwire, DISH tie-up. Thuraya strengthens its partnership with Astrium Services with launch of IP+, SatSleeve and Maritime Broadband in Asia. Initial Defense Communications Satellite Program launched first cluster of 7 small satellites 47 years ago. SES CEO Romain Bausch to be succeeded by Karim Michel Sabbagh. Google Internet balloons – what do they mean for VSAT, and satellite communications in general? Lockheed Martin promises to support South Korea’s effort to develop and launch military communications satellites if it wins Seoul’s multi-billion dollar fighter jet deal. Watch George Clooney Puts Spotlight on Bloodshed, Crisis in Sudan on PBS. See more from PBS NewsHour. 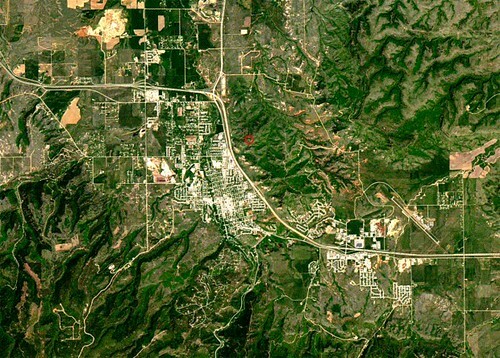 George Clooney’s Satellite Sentinel project reveals war crimes and security violations using DigitalGlobe imagery. Mr. Sabbagh: Tear Down This Logo! The executive succession at SES S.A. has begun, with the anointment of Dr. Karim Sabbagh and CEO-designate, replacing Romain Bausch in April of 2014. Holding dual citizenship in Canada and Lebanon, he’s been in Dubai for years and apparently knows his Arabic Internet trends. Rocket scientists who care about marketing space-based businesses will be watching this closely. Δεν μπορείτε να σταματήσετε ελληνική TV! Journalists from axed Greek state broadcaster ERT returned to the airwaves Thursday amid an escalating crisis that saw the country rocked by a general strike, a sharp rebuke from Europe’s top human rights official and widening divisions in the fragile coalition government. Officials at the Geneva-based European Broadcasting Union on Thursday said they had successfully relayed a live pirate broadcast from the sacked journalists to Greece, Europe, Asia and Oceania. The move is in defiance of the country’s conservative-led government, which shut down state TV and radio Tuesday as part of the its austerity measures. “We have just had our signal broadcast on satellite. 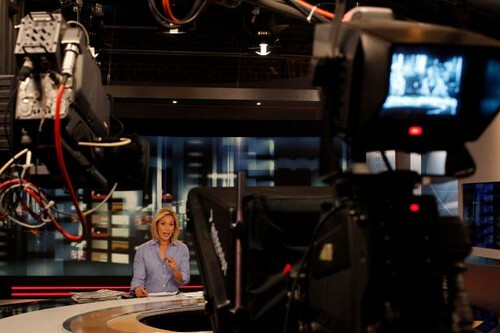 We thank everyone who helped us,” ERT newsreader and union representative Chrysa Roumlelioti said on the broadcast. 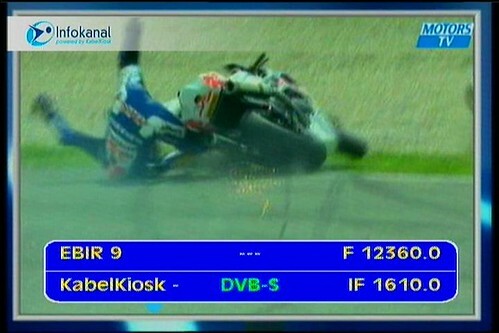 Way to go, EBU — rile up the Greek government. 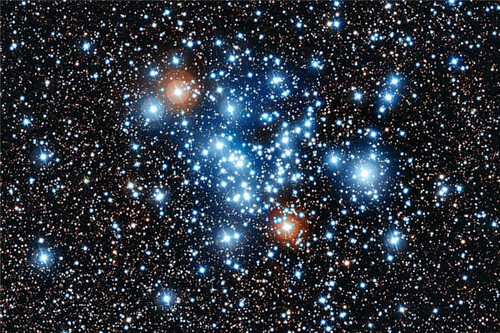 For seven years, the research team observed more than 3,000 young stars in the star cluster NGC 3766 for a few weeks each year. They found variable stars – 163 of them – including 36 that seem to break all the rules of pulsars. 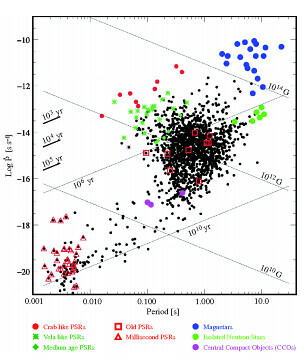 In fact, they held off on labeling the stars “pulsars,” choosing the less controversial label of “periodic variable stars,” though they said that they expect the scientific community to confirm that they are, in fact, pulsars. As with many astronomic discoveries, it takes quite a while to confirm “discoveries.” This one in particular may rewrite the book on pulsar formation. That’s pretty awesome. Maybe we’ll see pulsars in BigBangPrints soon. Proposed ITAR reform removes may of glaringly perverse effects on space commerce but does nothing to make it easier for industry to work with U.S. Defense Department on hosted payloads. Draft NASA authorization bill bars funding for asteroid rendezvous mission. FCC probes satellite fleet management practices for abuse including holding on to orbital slots without making maximum use of them. Iridium NEXT is promoted as the world’s largest ongoing commercial space venture, designed to drive innovation, create opportunities, and change the way people and organizations communicate – everywhere on the planet. Boatracs completes fleet-wide implementation for Fleet Operators, Inc. of Boatracs Narrowband satellite solution for communications beyond cellular range for vessel tracking and electronic logs. Decommissioned Russian satellite burns brightly over Australia during re-entry. SES’s ASTRA 2E satellite begins trip to Baikonur where it will be integrated for a Proton launch. Europe’s Proba-V satellite successfully demonstrates that it can capture data on aircraft speed, position, and altitude. Satellite Interference Reduction Group to host series of interference-related breakfast sessions at CommunicAsia2013. Space Systems Loral executive expects additional orders this year for High Throughput Satellites (HTS). FTC opens antitrust probe of Lockheed-Boeing joint venture that launches U.S. government satellites. U.S. Army begins fielding smaller, lighter SNAP satellite terminals following network integration evaluations. Astrium renews partnership contract with Telecoms Sans Frontieres, pledging to continue satellite communications support for their many disaster and emergency relief missions across the world. Northrop Grumman keeps nonrecurring engineering costs and other first time expenses down for U.S. Air Force’s Enhance Polar System satellites, using hardware and software designs developed for the AEHF satellites. Internal audit puts heat on NASA for giving Orbital Sciences Corp. more than $600 million to build hardware for six space station resupply missions before the company has fully demonstrated that its Antares rocket and Cygnus cargo tug are up to the task. Applied Satellite Engineering debuts Osprey TMC Iridium Short Burst Data (SBD) modem terminal that can provide GPS tracking, analog and digital monitoring and control, and over-the-air configuration and programming of assets anywhere in the world. Clearwire urges shareholders to accept takeover offer from satellite communications giant Dish Network instead of the Sprint offer backed by Japan’s SoftBank. NSSL Global and Telemar Scandinavia announce free-of-charge upgrade doubling return speed on their Standard and Premium packages. Content delivery’s astronomical costs avoided by partnership between Latele Novela Network (LNN) and Spanish channel 8Madrid using Newcom International’s services and LNN’s innovative cloud-based video transport solution. Foreign commercial satellite services bill advances through House committee; would prohibit Secretary of Defense from procuring satellite services from foreign entity under certain circumstances. Another space storm like 1859 Carrington event could wreak havoc on global economy. Emiratis advised by UAE Ministry of Foreign Affairs not to enter India carrying any satellite communication devices, such as Thuraya or Iridium, citing Indian Government banning use of such devices on its soil. 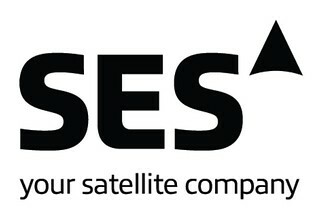 SES supports satellite communication links with a Remotely Piloted Aircraft System using SES Ku-band capacity to establish command and control, Air Traffic Control and Mission data transfer. Singtel offers to help Myanmar design and build its own telecommunications satellite. Three Chinese astronauts up and away toward space lab. Chinese plan to launch “Chinese Quantum Science Satellite” in 2016, making China the first space-faring nation with quantum communication capability. Space Systems/Loral selected to provide communications satellite to SKY Perfect JSAT of Japan. Astrium is awarded the payload module contract for the European Space Agency’s future astronomy mission Euclid. Satellite manufacturing and launch services industries face increased competition in the near future due to increasing supply, new entrants, and lower demand – diversification is difficult but necessary. Gilat is awarded $6.75 million contract extension to continues providing Internet connectivity services to Colombian schools. 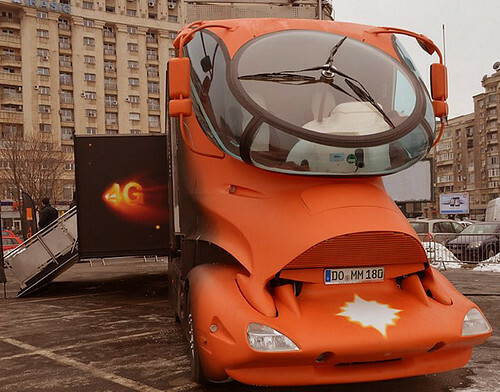 Orange Romania launches TV service with GlobeCast on ASTRA satellite. Australian satellite company TC Communications signs another contract to provide service and support to the Australian Defence Force in their project to deploy integrated Wideband Global Satellite communication capability. Australian satellite communications company NewSat expresses interest in Singapore Telecommunications Ltd’s $2 billion sale of its Australian unit, Optus Satellite. Indian oil marketing companies moving to satellite internet connections for around 10,000 petrol pumps facilities like credit card machines seen as trouble for Tata Tele and Reliance Communications. Cartrack selects ORBCOMM for satellite data communication services to extend its current range of GSM logistics and telematics solutions. SES utilizes Newtec MDM6000 satellite modems with S2 extensions capable of 37% efficiency gains over existing DVB-S2 to boost satellite performance on its African SES-5 payload. Satellite communications will lead the way for broadcast, broadband and cellular backhaul within Asia, according to ETL regional sales executive. Eutelsat and OneAccess Networks win Global Telecoms Business Innovation Award for transforming the landscape for satellite-based enterprise communications across Europe, North Africa and the Middle East. Arianespace signs more comprehensive MOU with Mitsubishi Heavy Industries as both companies look to increase their work together in the launch services market. Yemen launches satellite-based YahClick Internet service. Satellite Executive Briefing magazine June issue includes: “Pay TV Boom Fueling Demand in Asia-Pacific,” Peter Galace; “The Renaissance of Small Satellite,” Dr. Joseph Pelton; “Update on Papua New Guinea,” Chris Frith; “The Satellite-Eye View of the Broadcast Booth,” Robert Bell; and “Networking Towards a High Throughput Maritime Space,” Martin Jarrold. NSR report addresses fundamental questions about wireless backhaul satcom services. Awesome job by Little Blue Lemon Photography of Toronto. There was a shot floating around the internet last week of a bridal party being chased by a dinosaur. It’s funny, admittedly. So here’ s our take on the idea…mostly because Leslie (and us) are huge Star Wars nerds! 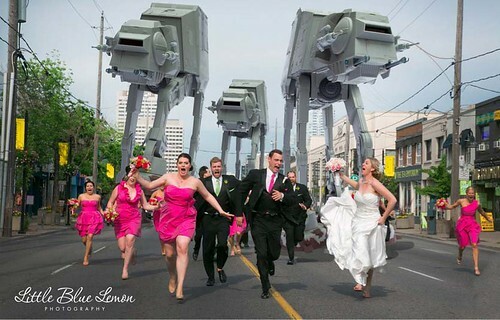 We couldn’t resist their bridal party getting chased by a squad of Imperial AT-AT Walkers! lol. So for all you Star Wars fans, this ones for you. For you Photoshop-loving rocket scientists who are getting married soon, start thinking! Via Mashable. The hawks in Washington were screeching when they heard the DoD was leasing bandwidth on APT Satellite’s Apstar 7 spacecraft, through Harris CapRock — a value-added reseller. “That’s a Chinese bird! How dare you put our military at risk by using a Chinese satellite? !” Blah, blah, blah. Did they fail to mention the spacecraft itself was built in France and launched by a Chang Zheng rocket from China in March of 2012? The coverage area of one of the spacecraft’s Ku-band beams is just right and there are no alternatives in this part of Asia. With data encryption at either end of the circuit, there really isn’t much to worry about. And if it’s broadcast video, who cares? Forget that: the contract was renewed for another year. Now the House Armed Services Committee is proposing to exclude foreign commercial satellite companies from contracting with the DoD in the bill for National Defense Authorization Act for Fiscal Year 2014 (H.R.1960). Will this bill also prevent other foreign-controlled or non-U.S.-based operators from contracting with the DoD? Or just the Chinese ones? In reality, Intelsat and SES are both based in Luxembourg — but only SES is proud of it. Intelsat just likes the tax advantages, just as they liked Bermuda’s not too long ago. Both companies have substantial headcount in the U.S., but don’t expect that to last much longer. Headcount at SES in the U.S. has been steadily and regularly declining since they bought Americom from G.E. in 2001. And who could forget the bloodbath when Intelsat acquired PanAmSat? 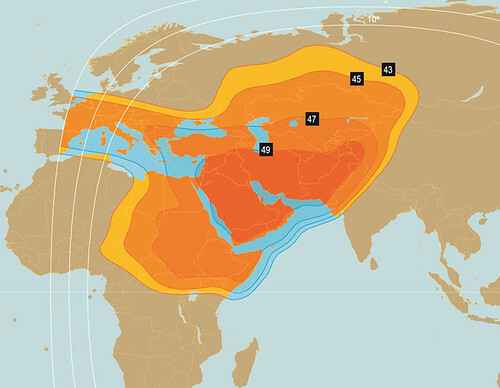 Another big operator with Central Asian coverage, Eutelsat, is based in France, and they do quite a bit of DoD business, too. Does this mean foreign-controlled operators are about to lose U.S. government business? Probably not. However, allowing foreign investors to own critical defense communications infrastructure is something that could have been prevented — and preserved America’s continued leadership in space. Support your U.S.-based rocket scientists! Russian defense satellite launched from Plesetsk cosmodrome on Soyuz rocket reaches target orbit. Three NASA “phonesats” spend 6 days in orbit sending back complex data and photos of earth before burning up upon re-entry. Indian home ministry dismisses telecom department proposal to provide satellite-based communications to beef up surveillance in India’s Maoist hotbeds. Despite criticism from former ESA and European industry launch-vehicle experts, ESA intends to stay on the course on Ariane 6. FCC to probe Intelsat practices following CapRock complaint that satellite operators inhibit competition by failing to upgrade their equipment or replace aging satellites on a timely basis. Two years after launch, the first Space Based Infrared System Geo-1 missile warning satellite is quietly declared operational. Russian satellite launched last year to map the Arctic stops functioning. Sierra Nevada Corporation successfully begins latest phase of hybrid rocket motor qualification testing for the Dream Chase flight vehicle. Inmarsat makes compelling argument for sending M2M over a satellite network instead of a terrestrial variation at CTIA. Telespazio Brazil CEO expects growth to come from three market segments – oil and gas, backhaul, and corporate networks, but most especially oil and gas. Coastal states brace for another hurricane season with satellite networks. KVH details four-part plan to bring variety of economical and convenient content services to mariners for the first time via its mini-VSAT product. Northrop Grumman develops new GaN packaged power amplifier for military and commercial Ka-band applications. GIT Satellite Communications X-Track(TM) asset management system meets requirements to become an Iridium LBS Premium Portal Provider in connection with the Iridium Extreme(R) satellite phone. Stratolaunch, the company created by Microsoft co-founder Paul Allen to develop a low-cost satellite launching system, gives Orbital Sciences contract to build world’s largest air-launched space rocket. Internet everywhere will keep the satellite industry flying. Europe launches record cargo load for the International Space Station. CommunicAsia2013 Summit features eight dedicated tracks and two interactive workshops to cater to the growing demands of the satellite industry – to be held in Singapore, June 18 – 21. Yahsat wins “Most Innovative Product and Service for Africa” for second consecutive year. Eutelsat and OneAccess win “Business Service Innovation” award for provision of advanced enterprise services on KA-SAT satellite. Skyware Global launches spin off company focused on electronics engineering and tactical ground systems. Comtech Xicom gets four U.S. Navy contracts totaling $2.5 million for high-power dual-band traveling wave tube amplifiers. Eutelsat Germany expands KabelKiosk service with TV product for local and regional IP and cable network operators in Germany. 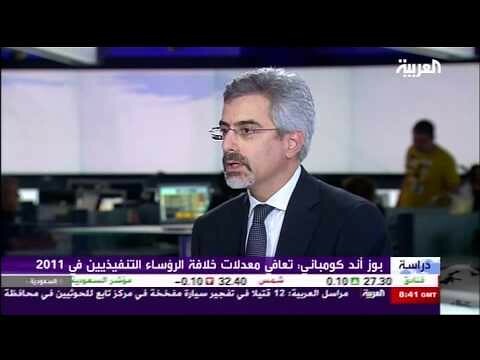 Speedcast launches Ka-band service for North Africa and Middle East. SES-6 satellite is successfully launched on board an ILS Proton Breeze M booster from Baikonur, Kazakhstan; SES announces a significant long-term capacity anchor customer for SES-6 is Brazilian group Oi. CASBAA satellite industry forum to be held in Singapore June 17, will examine An Industry in Transition. Don’t forget the kbps in the energy markets – amidst the bandwidth revolution there remains an entire class of in-service low-bandwidth units serving the Oil and Gas and Utilities industries. As Intelsat continues to struggle with only “modest near-term growth prospects” and “elevated government demand risk,” the company’s fiscal future remains bright. Gilat’s SkyEdge II hub and VSATs to deliver education to around 2500 schools in Southeast Asia. Geolink Satellite Services and Telesat renew Ku-band contract. My-HD and Arabsat celebrate success of partnership by launching full bouquet of 39 channels of which 31 are High Definition. SkyVision launches new corporate voice, data and video services over satellite in Africa. NASA develops interplanetary GPS, building test bed at Goddard and planning to send an instrument equipped with X-ray navigation technology to the International Space Station to test the system. Arianespace’s CEO calls for fast-track modification of Ariane 5 rocket that will enable it to launch larger electric-propelled satellites into orbit. India is forced to delay launch of its first navigation satellite due to malfunction in control actuator in second stage of the rocket. Bidding for Hulu heats up among cable, Internet, and satellite providers. Export-Import Bank of the United States adds to record-level support for the American satellite industry, authorizing $343.3 million loan financing AsiaSat’s purchase of communications satellites and launch services. Global growth private equity firm TA Associates partners with its portfolio company SpeedCast Ltd to complete acquisition of Australian satellite communications service provider Pactel International. Hughes Network Systems announces new emergency service package as the 2013 hurricane season gets underway. Agilent Technologies announces system design tools for Satellite Communications and Navigation. Azerbaijan’s second telecommunications satellite to be launched in 2018.